Defining the term 'needs no introduction', it's Sherry and John of Young House Love (yes, THE John and Sherry, the Bradgelina of real life DIY home improvement bloggers!) sharing where and how they keep their most used tools. Their guest post is just the appetizer - they've done a full entree post all about their tools over at their place. When Mrs. Limestone sweetly invited us to share how we overhauled our messiest junk drawer, we hesitated. Because we didn't have a messy junk drawer. Not because we're crazy organized - but because at the moment we didn't have a junk drawer at all. We had just moved into our new house so things were still in boxes, not even close to being tucked away in drawers yet. Given that we DIY more than we C-O-O-K, we once again decided to dedicate a set of drawers in our new kitchen to just tools (yes, we realize this makes us weird). Luckily our new house had the perfect trio sitting right beneath our seen-better-days wall oven. They were wide, deep, and best of all - completely empty! I'd even go as far as to say that they were tool-hungry but I'm pretty sure they were used to housing things like cassarole dishes and tupperware. To read more about the tools that we own and our crazy rug spread, visit this post on our blog. Anyway, once we could see the big picture, we grabbed similar items and began filling the drawers. We placed our most frequently-used general tools in the top drawer (hammers, screwdrivers, etc). We banished duplicate tools (like the extra hammer that a contractor once left behind and never came back for) into a toolbox that now lives in the basement. Next, we gathered all of our nails, screws, tapes, glues and other miscellaneous items used to hold things together, bind, or adhere (that's counts as a theme, right?). Then again, the sanding tools ended up in there too. Oh well. Given the odd shapes and inconsistent sizes of these things, it's hard to make it look pretty and make the most use of the space, so we're just satisfied knowing if we need to stick two things together - this is the drawer to open. Last but not least, the bottom (and deepest) drawer holds painting and caulking supplies, including a bunch of smaller craft paints and brushes along with the Mod Podge (yes, there's Mod Podge in our DIY arsenal). And the great part is that there's still room to store a few spare paint trays on top when we pick those up. ...and this corner of our office appreciates not being a handyman's dumping ground anymore. Thanks so much to the Petersiks for sharing. Off to check out more now. This makes so much sense! I have a cupboard where I think our tool box could find a new home - much better than trekking to the garage every time we need a nail or wrench! Love, love!! We've been hard at work building new storage units in the basement (out of recycled wood, none-the-less, keeping out of pocket costs at an all-time low). Here's how one of the units ended up - it's pretty nice (and SO strong) and soon it'll be fully organized. Oh how I love John & Sherry! I need a tool drawer like that too! Great series. i keep my tools in the kitchen, too. just makes the most sense in a small apartment. This has inspired me to clean out my junk drawer (I think). Right now I keep my tools in a Stanley toolbox in my kitchen pantry and that works. So, tools in the kitchen is the way to go! As I was scrolling through the pictures, I thought those drawers would be so good for Clara's things to go in so she can help mum & dad put her things away .. of course that won't be for a little while. Do you have any other drawers that are low to reach for little ones? I love the end result. Awesome! As much as I cringe at the thought of giving up any storage space in my kitchen (we're maxed out at this point, and getting married next summer, and most of the things on the registry are kitchen things! Good thing I have an Ikea Expedit pantry idea in the works...), I know I'd get more done if I didn't have to go out to the garage to get things. The only change I might make for myself would be to put down some sort of non-skid material in the bottoms of the drawers, especially the top one, so that one rough drawer closing didn't send all my nicely arranged tools skidding toward the back. well done!!! and what the french...how was I not a follower before?!?!? Great idea!! I craft more than I cook, so I have a drawer in my kitchen with all of my paint brushes in it - lol! Amanda - we do have a couple of other low drawers (and cabinets) that are currently empty / pretty spare so there's definitely some room for Clara to help pack and unpack with us when the time comes. Paige - you're totally right about the non-skid liner. The tools in the top drawer have definitely slid around a bit from the opening and closing since the photo was taken. It's on our to-do list!  Thanks again to Mrs. Limestone for including us in the series! We also have a few drawers of tools in our kitchen even though the garage opens off the kitchen only a few steps away. It's true that the kitchen has tons of cabinets and drawers while the garage does not, but the main reason is because I don't want to dig around in his extensive tool collection every time I need a hammer or wrench so I'm glad to donate a kitchen drawer to having those things handy. Great idea! I'm happy my laundry nook has a few built in shelves for me to store my tool box on but it's in definite need of re-organizing! I'd love to put our tools in a drawer, too, but we only have ONE in our entire kitchen. Fail. So instead they live in a basket in the coat closet. My 2 (well, 3) favs working together! So cool! Great overhaul! Hahaha - Love how you introduced them! Those drawers are prefect for tools! LOL...we are big DIYers too; and we also have THREE tool drawers in our kitchen! 2 are large, one is small...but 3!! I thought we were the only ones! Can't wait to read the rest of this series. I'll definitely be back for more. Please think really seriously about painting those oak cabinets. Pretty please. This isn't strange at all..I've always kept a lot of tools in the kitchen. Just more convenient than trekking down to the basement. Good job.